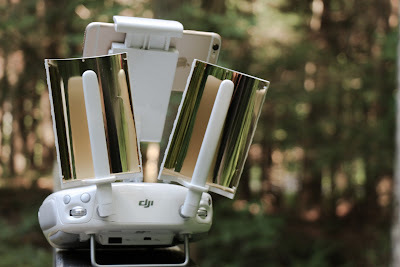 I purchased these parabolic range boosters for my Phantom 4 with the hopes of increasing the connectivity of the Phantom 4 to the remote controller. I live on a mountain in a highly wooded area, so a lot of times when I am flying my Phantom 4 will lose connection to the remote controller for a few seconds. It doesn’t happen every single time, but it happens enough to where I wanted to try something with the hope of addressing this issue. I enjoy live streaming Vermont sunsets to Periscope several times a week, I am also hoping this might improve the signal quality for that as well. 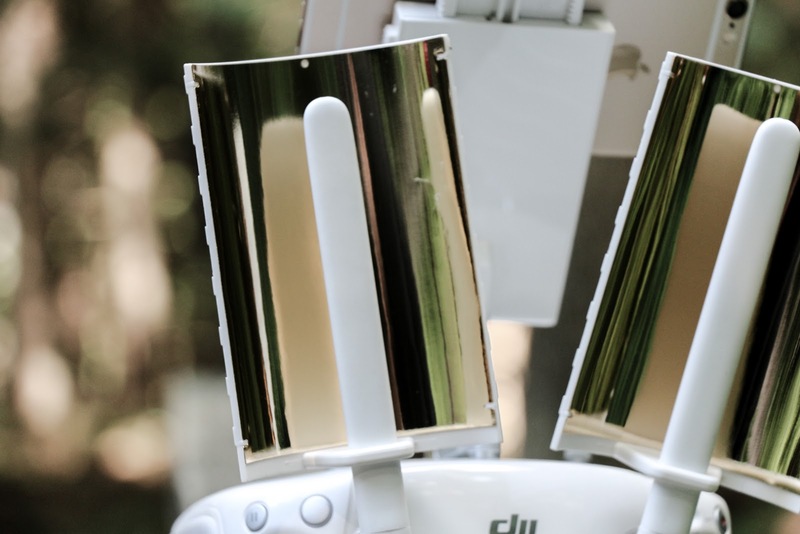 A few tidbits about these — they easily fit on the antennas, you just slide them over the top and they stay pretty snug on them. They do seem to weigh the antennas down a tad, I noticed one of my antenna flopping left and right a tad; but I might just need to tighten them a bit to avoid this. These are ideal when using a smart-phone, when I put my iPad on the controller it seemed to rub against the antenna boosters due to the iPad being more heavy and causing the mount to sit lower to the controller a bit. Yes, I can adjust the mount too, but I like having my iPad sitting at more of an angle when flying. I am not saying they don’t fit with the iPad, I am just saying you will need to make adjustments, possibly. I know there are ways to mod the remote to greatly improve the signal strength, or you can pay to have someone do that for you. Both those options are much more expensive, although I am sure the results are vastly superior. I decided to try this cheaper route to see if it improves my connectivity any at all. Most of the videos I have watched on YouTube claim these will get you about twice the range, while I am not going for distance, I am just hoping to see a slight improvement. 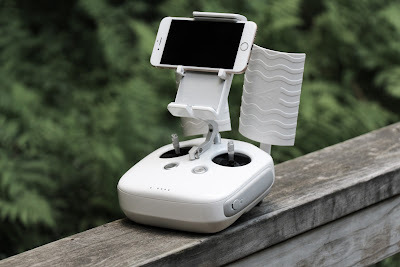 I also wanted to mention, the Phantom 4 is amazing and when I am in a clear, opened area, I have zero issues with connectivity. I only experience issues when I am flying at home on this glorious mountain I live on! I do plan on doing a second video to report any improvement in using these range boosters, if any at all! You can purchase these on Amazon for only $19.99: http://amzn.to/294h41p.